(MENAFN - SomTribune) The Government of Somaliland has strongly condemned the heinous attack in DusitD2 Hotel in Nairobi, Kenya. In the wake of the terror attack that hit Nairobi late afternoon Tuesday, Africa and the world has sent tributes to the victims, survivors and their families. 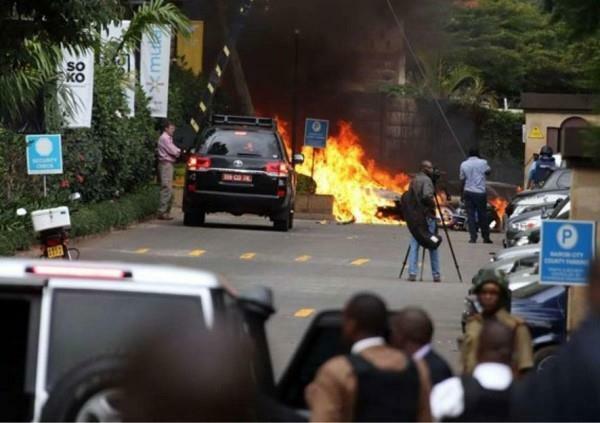 As tributes trickle in, President Uhuru Kenyatta early Wednesday morning declared the attack at the 14 Riverside Drive over, with all the terrorists killed. According to the head of state, 14 people were killed and 700 others evacuated from the hotel complex in Westlands, Nairobi. He assured Kenyans that the government would pursue the people involved in the attack by militant group, Al-Shabaab. 'We will seek out every person involved in the funding, planning and execution of this heinous act. We will pursue them wherever they will be, until they are held to account,' he said. South African President, Cyril Ramaphosa said in a statement. – Statement from Somali Ministry of foreign Affairs.